I love running alone. And I mean love. More than I love chocolate chip cookies. 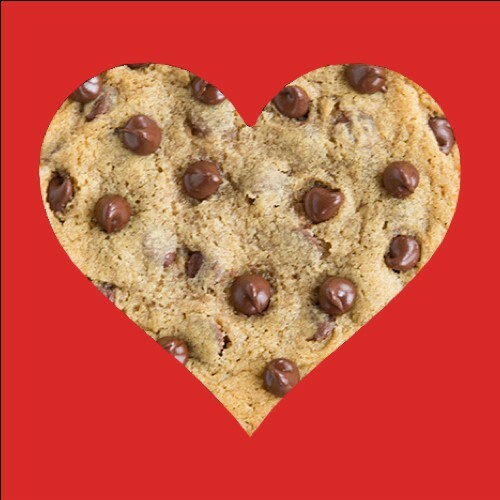 And anyone who’s known me more than… say… an hour… knows about my obsession with chocolate chip cookies. Heck, it’s the only thing I can think of that allows me to turn on, tune in, and drop out, in this hectic, over-cluttered world. When I’m alone on my runs, that’s all there is. Just me. And I’m free. My own little world. Where it’s my pace. My routes. On my time. When I’m done, dripping sweat from head to toe, I don’t feel, rather, I am cleansed. Purified. Ready to take on any challenge of the day (or night). Calm as a cow on a vegan’s farm. Yep. I love running alone. You see, I figured that since I was so “good” at running alone, training for a race all by my lonesome would be a piece of cake. A snap. A one-way-ticket to a PR, for sure. After all, there are plenty of “training programs” you can follow for free online. Let’s just say that when it’s just me, I tend to go a little easy on myself when I should go harder, and I push too hard when I should be going easy. It didn’t even take a week before I noticed that my “scheduled” workouts were either turning into glorified jogs with too much recovery or they were being transformed entirely into another one of my “easy” runs, only to tell myself that I’ll do it tomorrow. 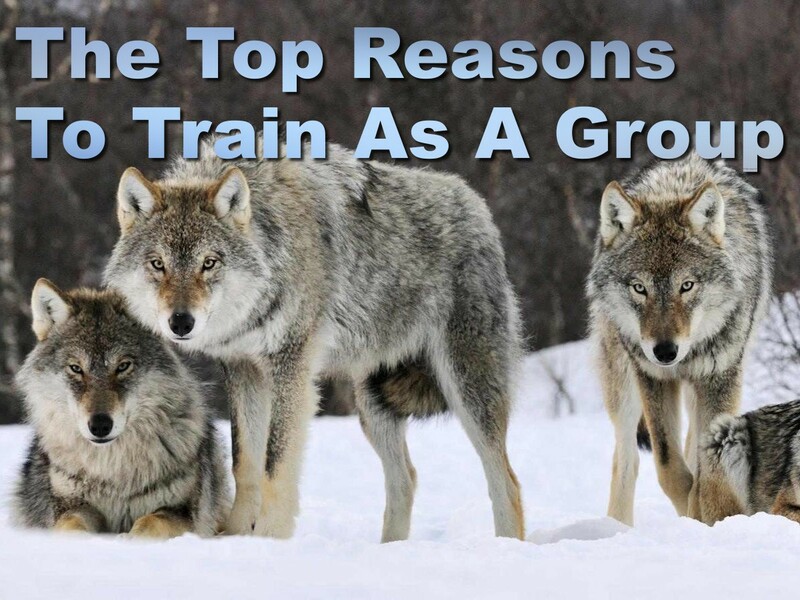 … and unless you have superhuman willpower and the discipline of a Tibetan Monk, you probably don’t benefit as much training on your own as you could with a group, either. Dozens of psychology studies have proven that the mere presence of other people around you, training along side you, allows your body to unconsciously push itself a little harder and a little further than it would if you were by yourself. In other words, without knowing or feeling like you’re working harder, in a group, you’re getting a more productive training stimulus than you would on your own. Over the course of a 10-16 week training cycle, that added push becomes a monumental change. Transforming yourself from a pony to a race horse. Once I signed up for a group, I also became aware of another huge perk… accountability. … something that I never had to face when training alone. If I missed a workout or cut a run short, so what? Who’s going to know aside from the man in the mirror? When you’re part of a group, there’s a sense - regardless of your skill level - that everyone’s in this together. And that mentality. That pack mentality. That “we’re in this together” feeling doesn’t just help you attain your goals easier, it’s downright a blast at times! Let’s face it. Running in a group is fun! It’s social. Sure it’s work. But being around other like-minded people, with similar interests as yourself is both encouraging and rewarding. It’s a time to make new friends, training partners, and friendly competitors who probably share more ideas, hobbies, and interests than the people you sit around all day at work. Oh… and did I mention that you also get a live, real coach, too?! Sure anyone can follow a cookie cutter calendar “program” you see online. And many people do. But are those downloadable slips of paper able to help you discern the difference between needing to take a day off or push through? Can they determine if you, on whichever day, should do 3 repeats or 10, given xyz circumstances? Do these schedules know if you’re really getting the most out of yourself? From personal experience, not only would I find myself slacking on days I needed to really lay it on the line, but - perhaps most importantly - I would find myself working too hard, logging too many miles on days I really needed to back off, resulting in unneeded injuries and less-than-poor performances. It truly is amazing, the world of difference it makes when you have someone with experience, who has been there, who can take an honest, outsider point of view, and guide you along the right path. Pushing you when you need it. And ordering restraint, when it’s called for. So, from now on, running alone, I will continue. Love even. But when there’s a goal, be it a new distance or time, I’m sticking with a training group. And no matter your goals, whether you’re looking to finish your first 5k, or you’re trying to reach a new marathon personal best, the training groups offered through Fleet Feet Mechanicsburg have something for everyone and ALL abilities! You can check them out here!